Way back in August 2010, I unveiled Convert Stories. It is a special project like New Evangelists Monthly introduced earlier this year. The idea of Convert Stories is to provide a unique database of (1) bloggers, (2) who are converts and (3) who publish their conversion stories. It fills a unique and useful niche. The database is updated regularly and in the process, I read some really great, moving stories. 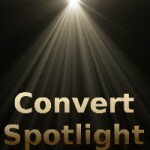 Conversion Spotlight is a new meme I will use to introduce you to some of these wonderful blogging converts. Like my Elsewhere meme, you will get an introduction, a key excerpt from their story and a link to their blog. There you can read the complete story and follow their on-going journey. This is long overdue! Often I have come across conversion stories with some combination of difficulty, humor, exhilaration, inspiration, passion, surprises – even small miracles – and thought to myself “wow”! They were then added to the Convert Stories database and I moved on. 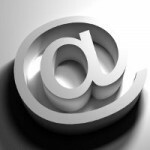 The database is great for people just discovering it since it is maintained and searchable. The problem is for you my loyal Convert Journal readers, who (quite reasonably) do not monitor the Convert Stories database for new additions and miss these great stories. Through this new meme you will be in the loop. Not all stories can be spotlighted, but I am confident that you will enjoy those that are and find this new feature to be a good addition. Look for the first Convert Spotlight piece this Friday. Until then, if you are not familiar with Convert Stories, head over to that page and take a look. There you will find the database, links to other great convert story sources and a good list of books by converts. Convert Stories was conceived to provide a place for searchers interested in Catholicism to connect with others of similar backgrounds. It was featured aspect by Brandon Vogt in his book: The Church and New Media (page 50). Convert Stories is fortunate to always be among the top Google search results for “catholic converts”, “convert stories” and the like.